Montreal Alouettes quarterback Johnny Manziel was placed under the CFL concussion protocol on Wednesday. 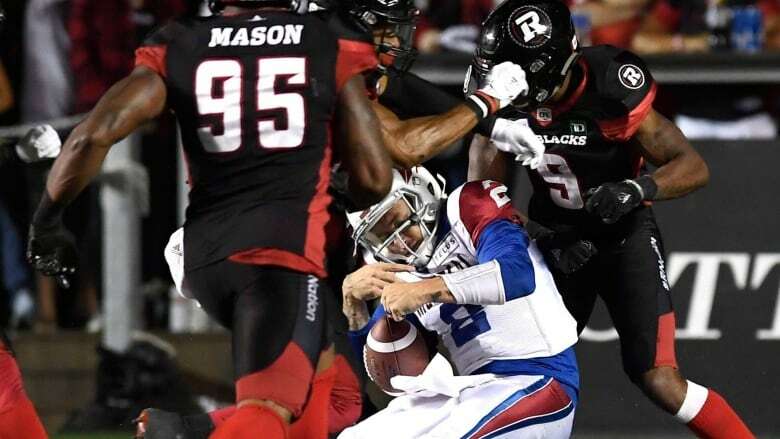 He was rocked by a hit while trying to run the ball over the goal-line in a 24-17 loss in Ottawa last weekend in his second career CFL start. The 2012 Heisman Trophy winner struggled in his CFL debut but looked better against the Redblacks. He did fumble after taking the hit but Montreal recovered for the touchdown. The Alouettes are in Edmonton to face the Eskimos on Saturday night.